My latest trip down the missile silo’s lasted 5 hours, in the dark, time doesn’t exist. I was working away setting up shots, and when I finally checked the time on camera, two hours had past. It was three hours more when I thought it would best to go up to the surface to check in and let my wife know I’m still alive. 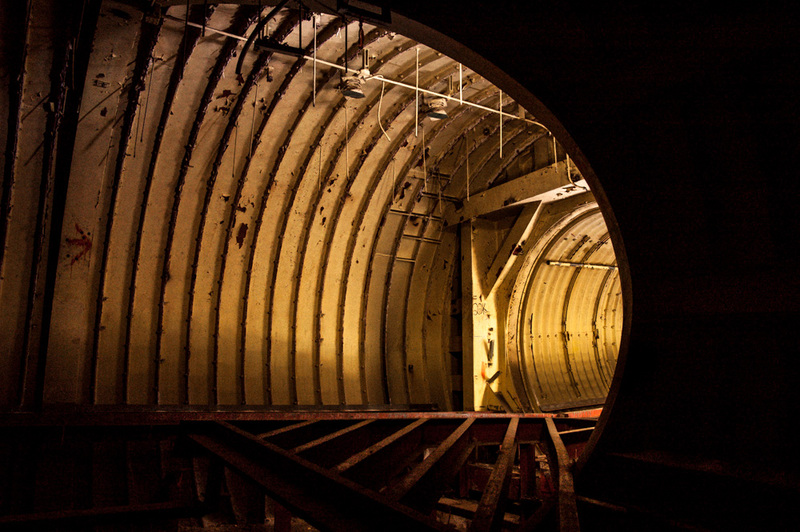 This photo was captured at the junction between silo 2’s launch tube, fuel storage and control room. Of all the three missile launch tubes, silo 2 has the least vandalism and water damage.